Start your Outer Banks vacation with a burst of energy and a little sunshine on the sand with this family-friendly racing event that highlights the best views on the beach. The Sunrise 5k & Little Crab Crawl takes place along the oceanfront shores of Nags Head, and is a great way for walkers, joggers and runners to enjoy a little friendly competition and comradery with fellow active visitors and locals while taking in a scenic OBX sunrise over the Atlantic. Share a love of fishing with the youngest members in your vacationing party with this special fishing tournament that’s designed with youth anglers in mind. The Fritz Boyden Memorial Youth Tournament is an annual fishing tournament that takes place on the famous Jennette’s Pier, and which is open to all anglers ages 16 and under. The age groups for competitors are 4-9 years old and 10-16 years old, and trophies as well as rod and reel combos are awarded to the largest fish caught by a girl and boy angler for the day. Participants in the “catch and release” tournament can enjoy a full morning of fishing before going to a celebratory and awards lunch close to the pier. Let the young anglers in your family enjoy a day of fun and fishing on the water by taking part in the 4th Annual Youth Fishing Tournament in the heart of downtown Manteo. Get ready for a pirate invasion on the Outer Banks, courtesy of the two-day OBX Pirate Festival. 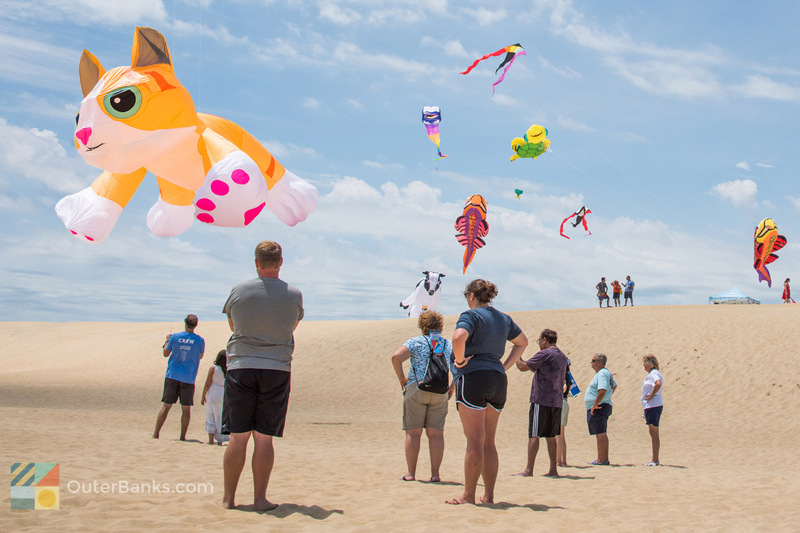 This festival that will be held next to Jockey’s Ridge State Park in the central Outer Banks town of Nags Head promises plenty of swashbuckling good times and activities, and will be a memorable event for young and old salty visitors alike. Cap off a delicious Thanksgiving holiday on the beach with this special two-day event that is held at one of the Outer Banks’ favorite historic attractions. The “Garden To Hearth; Heritage Cooking And Food Preservation” event focuses on food, family, and history with a myriad of activities and cooking-related traditions that will make a visit to the Island Farm even more special, and more memorable.